Canada’s Fairfax Financial Holdings Limited Group LTD (FFHL Group LTD) acquired 99.98% of the equity capital of the insurance company (IC) AXA Insurance (Kyiv) for $16.24 million. Some 26,193,416 shares with a nominal value of UAH 10 each were purchased at a price of $0.62 (UAH 16.55) per share at the official forex rate of the National Bank of Ukraine, the insurer said in an official statement. Before FFHL Group LTD took possession of the dominant controlling stake, the company and its affiliates were not owners, they did not directly or indirectly own the shares of IC AXA Insurance. 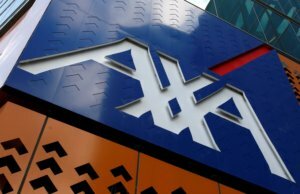 As reported, AXA Group (France) successfully completed a deal with Fairfax Financial Holdings Limited to sell its subsidiaries in Ukraine, Private Joint Stock Company (PrJSC) Insurance Company AXA Insurance and Additional Liability Company (ALC) Insurance Company AXA Life Insurance (both are based in Kyiv). IC AXA Insurance has been in the Ukrainian insurance market since 2007. The company has more than 780 employees and 1,220 agents throughout Ukraine. At the end of last year, the company collected UAH 1.9 billion in insurance premiums, which was 13% up on 2017. AXA Life Insurance was registered in July 2013. Its premiums at the end of last year amounted to UAH 93 million, which was 57% up on 2017. Fairfax Financial Holdings Limited, headquartered in Toronto (Canada), has been engaged in insurance, reinsurance and investment management since 1985. AXA Group (France) has announced the sale of 100% of AXA Insurance and AXA Life Insurance to Fairfax Financial Holdings Limited (Fairfax, Canada), the group said in a press release. According to the report, 50% of AXA Insurance belongs to UkrSibbank. Fairfax, headquartered in Toronto (Canada), is a financial services holding company that through a network of its own companies provides investment management, property and liability insurance, and reinsurance. In February 2015, Fairfax announced the purchase of 100% in QBE Ukraine insurance company, later renaming the company as Colonnade Ukraine. Fairfax as of the end of 2017 owned 28.06% of Astarta Holding N.V. (the Netherlands), the holding company of Astarta agro-industrial holding. AXA Insurance (Kyiv) is the leading insurance company in Ukraine. For the first half of 2018 it collected more than UAH 915.6 million of gross insurance premiums, which is 14% more than in the same period of 2017. The total amount of insurance payments for this period amounted to UAH 455 million, which is 17% more than in 2017. 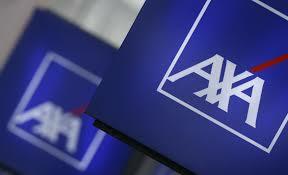 AXA Insurance belongs to AXA Group (France), represented in the Ukrainian insurance market since 2007. The company has more than 780 employees and 1,220 agents throughout Ukraine. AXA Life Insurance was registered in July 2013. AXA Insurance (Kyiv) in January-June 2018 collected more than UAH 915.6 million in gross insurance premiums, which is 14%, or UAH 115 million, more than for the same period in 2017, according to a press release of the insurer. “For the first half of 2018, according to regulatory reporting, profit amounted to UAH 47.6 million. According to the standards of the AXA international group, our financial result amounted to UAH 105 million,” financial director of the company Mykola Ivaniniv said. The company also reports that for the first six months of 2018 the volume of premiums on KASKO totaled UAH 523 million (10% more). Insurance premiums of individuals on KASKO in the total volume of premiums collected on this type of insurance are 66% (UAH 346 million). Income from voluntary medical insurance grew by 32%, premiums amounted to UAH 138 million. Premiums for travel insurance also rose by 26% compared to last year, the total number of contracts was 60,000, the volume of insurance premiums stood at UAH 18.6 million with a growth of 60%. AXA Insurance belongs to AXA Group (France). It has been represented in the Ukrainian insurance market since 2007. It employs more than 780 employees and has 1,220 agents throughout Ukraine.